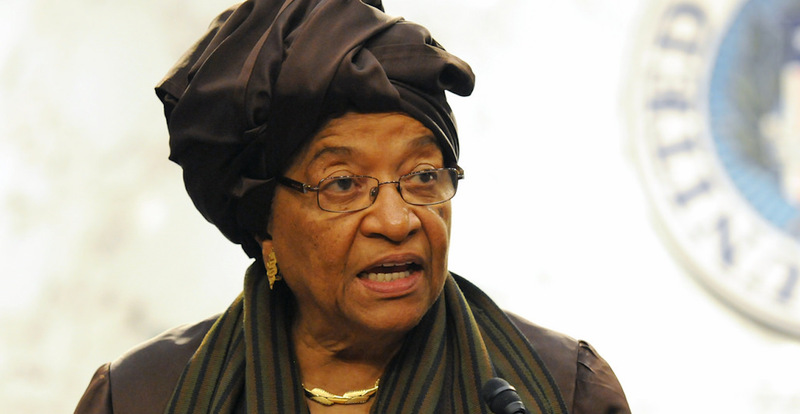 In early February, former Liberian President, Ellen Johnson Sirleaf became the first woman to win the prestigious Mo Ibrahim Prize in African Leadership after 12 years in office from 2006 to 2017. However, this commendable recognition of women’s positive leadership in post-conflict societies requires us to ask if poor leadership, rather than flawed institutions, is really to blame for the continent’s challenges. The Mo Ibrahim Prize was established in 2006 to both incentivise and recognise exceptional leadership on a continent that has seen its fair share of leaders who have come to power or maintained power through various less-than-democratic means, including military coups, extended presidential terms, questionable electoral practices and armed conflict. Recipients are given US$5 million (AUD$6.42 million) over a 10-year period and US$200,000 each year thereafter. While not awarded every year, when there is a recipient the Mo Ibrahim Prize is awarded to a former African head of state or government whose election to public office was not controversial and who served only for the duration of their mandated term while demonstrating exceptional leadership throughout that term. It is therefore notable that the woman who was the first elected female head of state on the African continent was also the first to be awarded the Mo Ibrahim Prize. It sends a powerful message to those who would seek to maintain the glass ceiling that prevents women and girls from pursuing and occupying leadership positions. Although Sirleaf’s term was not without challenges and mistakes, evaluations of her tenure must not fall into the trap of subjecting women to harsher forms of criticism than those awarded men. The Mo Ibrahim Foundation defines governance as “the provision of the political, social, and economic public goods and services that every citizen has the right to expect from their state”. Its definition assumes that today’s states and those leading them at any given point in time were established and wrested power, respectively, in order to meet these criteria. The history of the state in Africa tells a different story. On the African continent, as elsewhere, state or regime strength is maintained through depriving people, citizens or otherwise, of the basic services and goods required for their livelihoods. The competitive liberal ethos—on which today’s states were founded through colonial dispossession and maintained through practices of apartheid, post-independence armed conflicts and electoral contestations for power—has incentivised self-interested leadership on the continent. The definition of governance that informs the Mo Ibrahim Foundation’s selection of awardees is, therefore, at odds with the nature of the state in Africa today. That the award has only been presented to six former African heads of states—including Nelson Mandela as an Honourary Laureate and Sirleaf as the first female of head of state—highlights that USD$ 5 million (AUD$ 6.45 million) will not be enough to transform both the nature of the state in Africa and the quality of leadership on the continent. Monetary rewards, while allowing for a comfortable retirement and enhanced reputation, cannot rival the ‘rewards’ that most African leaders are reaping as a result of looting from their national purses. Good leaders can no doubt do wonders for their countries, but it’s important to ask what sort of behaviours and forms of leadership are incentivised by any given country’s institutions? Not only do governance structures in Africa encourage a winner-takes-all attitude to political power but, by their very nature, electoral processes breed a culture of entitlement which can hardly be remedied through practices of proportional representation. However, together with her partners, Sirleaf somehow managed to ensure that the destabilising and individualist logics of the institutions she was working with did not lead to a relapse to armed contestations of power. It is therefore necessary to be critical of the types of institutions that are promoted as best ensuring democratic participation and to move beyond one-type-fits-all approaches to governance. It is crucial to recognise that women are integral to the establishment and maintenance of not only national peace and stability, but improved governance. Sirleaf’s leadership has been central to the country’s post-conflict development following 14 years of civil war from 1989 to 2003. Her reception of the Mo Ibrahim Prize continues the necessary conversation about what political institutions that leverage women’s leadership, expertise, experience, knowledge and participation can contribute to improved governance on the African continent. Moreover, it highlights the interconnected nature of governance, peace and security matters and reminds us that all challenges facing African countries are women’s challenges. Therefore, women’s voices should be heard on all matters not just those that are narrowly defined as women’s issues. The question remains: does the Mo Ibrahim Prize for African Leadership misdiagnose Africa’s problems? The answer is not entirely. The prize risks over-individualising the conversation by placing the blame solely on individual African leaders. It runs the risk of encouraging a one-type-fits-all approach to good governance on the African continent, which is counter-productive. However, in presenting Sirleaf with this award, the Mo Ibrahim Foundation has done a commendable job of portraying leadership by women in a positive light. More than this, it has encouraged other women and girls to seek active participation in their countries and continent’s political processes, including through active leadership. Tinashe Jakwa is a doctoral researcher at the University of Western Australia. She is studying how liberal political systems increase state instability in Africa. 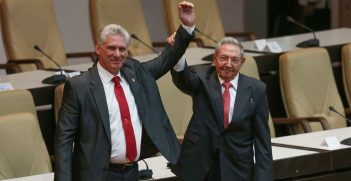 Cuba has a new head of state in President Miguel Díaz-Canel. However, the residual power of the revolutionary generation means the rejuvenation of the island’s political elite is only getting started. 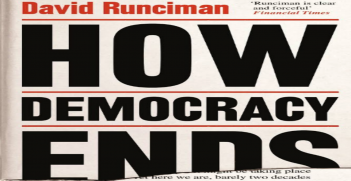 The rise of populists, a growing number of authoritarian regimes and an apparent loss of confidence in democratic politicians have all contributed to the idea that democracy is in serious trouble. 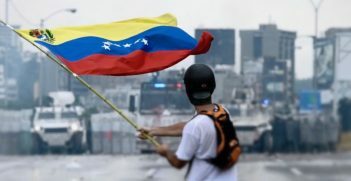 Amid a deepening economic crisis and international criticism, Venezuelans go to the polls next month. The victors will win much more than the regional governorships for which they are competing.